That is probably the reason that minecarry-teams (and their mines) take so much damage from structure arrows (doing structure damage). Ents moots take way too high of a damage from the Storm Queen's (aka Galadriel w/ Ring) tornado, while an arrow tower takes almost nil. Logic: An ent moot is more or less open ground. An arrow tower is upright and made of wood. Which should the tornado do more damage to? Earthquake doesn't do anything (barely) to Isengard arrow towers. Everthing around it is destroyed except the towers and the fortress, of course <----which is hardly damaged. And ballista are way too strong and have a massive range. - I guess you mean the arrow Expansion towers? Not the stand alone towers right? - Ballista is the most powerful Siege machine in the game... simpy cause the big "anchor" is sooo friggin big! you have to build the Rohan Golden Hall, then you can build them from your farms. That's the kind of bugs i am always on the lookout for. If you all want to do me a favor, please check up on all units, especially standard troops, if their anims are glitchy. Use a really close close-up camera for that. 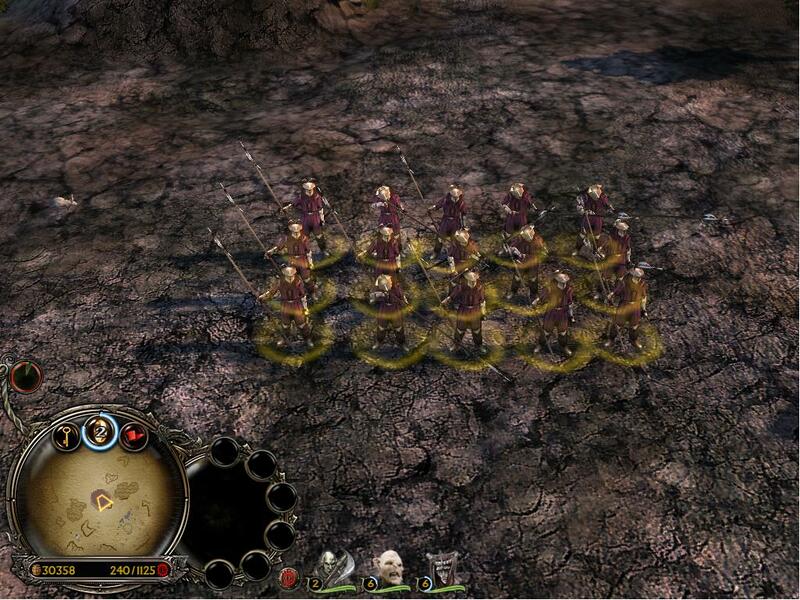 I just noticed an ugly anim-glitch with the lorien archers. Don't want stuff like that in S.E.E. that animation was from EA. It's always been glitchy. you could sub it for the HD elve's firing animation. best way I'd say to fix it. Strange, it works for me. Maybe it's a bug i fixed already weeks ago. Don't worry, i fixed it already. It was just a timing issue between the animation length and the weapon reload times. I slowed the animation a bit and reduced the difference between min and max reload times. No need for different animations. I've already said this: USE THE CORRECT THREAD!!! Edited by Nazgûl, 22 June 2007 - 11:11 PM. Edited by Nazgûl, 23 June 2007 - 03:28 AM. AI for Mordor: They rank orcpits to level 2, troll cages to level 2, and they don't rank mumak or seige to anything. This is maybe 2-3 hours ingame. Galadriel's Istari light doesn't do as much damage to fellbeast/Nazgul as much as Gandalf. - I guess Sul can check her EVA codes? Found abug when using untamed allegiance. When you use it on a goblin lair, the goblins build just as fast as they did in the original. haven't tested other lairs, though. btw...could this be a benefit of the power? Fast reinforcements? i think it should stay the way it is. Normally, by the time you can get that power, all lairs are destroyed except (maybe) fire drakes. 1) The upgradeable orcs (forgot their name lol, orcs of Cirith Ungol?) have this weird square around their blades. Note: this only happened once, and they were used by the AI, so I don't know if they were upgraded. 3) Gondor Rangers can't get Banner Carrier Upgrade?